Leave a comment on THIS post by 6 p.m. CT Tuesday, May 19, 2015 to be entered in the DRAWING for an eBook copy of the book below. If you mention in your comment that you’re a follower (see in the left sidebar “Join This Site” and “Follow by Email”), I'll add your name a second time in the drawing. U.S. mailing address required to receive a paper book. Read book giveaway details at Disclaimers. To provide you security, please leave your email address like this: johnATyahooDOTcom. Winner announced in next Thursday's blog post. Sherri Wilson Johnson is an Inspirational Romance novelist, speaker, and a social media/marketing junkie. She lives in Georgia with her husband and her Chihuahua, Posey, and they are empty-nesters. Sherri loves spending time with family, sitting on the beach, curling up with a good book or working on her current work-in-progress. 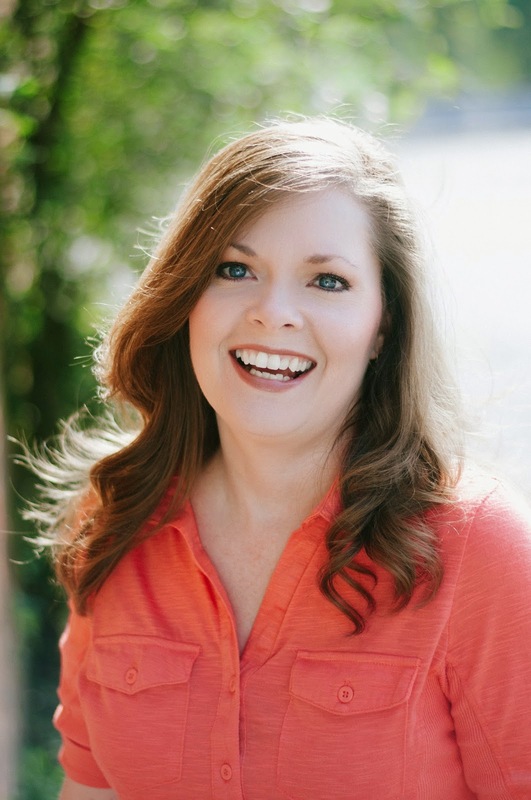 She is the author of To Dance Once More, To Laugh Once More, and When Love Must Wait from her Hope of the South series, and a Contemporary Suspense series due out later this year. She is a columnist with Habits for a Happy Home and Choose NOW Ministries. Welcome, Sherri. If you could have dinner with one person from today or history (except Jesus) who would it be? I would love to sit down and chat with a lady of a manor from the late 1800s—American or English--since that’s one of my favorite time periods. I can sing but I can’t whistle. I write about horses but I’m terrified of them in real life. I love to vacation at the beach although I’m not a sunbather. I just love to sit under a cabana and stare at the ocean. We usually go to the Gulf of Mexico but have vowed now that we’re empty-nesters that we’re going to explore other beaches. A beach vacation is also my favorite, Sherri! Please describe yourself with three words. Let not your heart be troubled: ye believe in God, believe also in me. In my Father's house are many mansions: if it were not so, I would have told you. I go to prepare a place for you. And if I go and prepare a place for you, I will come again, and receive you unto myself; that where I am, there ye may be also. I love the high that comes from dreaming up the storyline and doing the research for the book. Oh, and I love writing the story too. I also love doing the marketing. Actually, I love it all except maybe for the editing process and the proposal stage. I write anywhere and everywhere I can squeeze it in. I do a lot of writing by using my voice-to-text command on my phone and sending it to my computer. Sometimes it doesn’t always translate properly though and I get a good laugh at what my phone thinks I actually said. That happens to me, Sherri. I think it's my Southern accent. What can your readers expect from you next? I am rereleasing the first book in my contemporary suspense series set in the south (Song of the Meadowlark), which was formerly traditionally published. It will be followed by two more books by the end of the year. Readers can help spread the word by leaving reviews on Amazon, Goodreads, Barnes and Noble and other sites, can share about my books on Twitter and Facebook, and can chat them up to their friends and/or choose them for book-of-the-month in their book clubs. Please tell us a little about your novel, When Love Must Wait. Leaving behind a tragic past, Luke returns home for a respite after four years out West. His feelings rekindle for Annabelle, whom he let go years before, but she belongs to someone else now. Although he'll never win her love, he challenges her to embrace all that her life can be. He wants to help her unearth the secrets of her heart—yet keep his own secrets buried deep. Annabelle is afraid to leave the safety of her community. Luke is too restless to stay. When storms hit Marietta and its surrounding cities, they must embrace their faith in God and trust each other in order to revive their struggling town and their withered hearts. 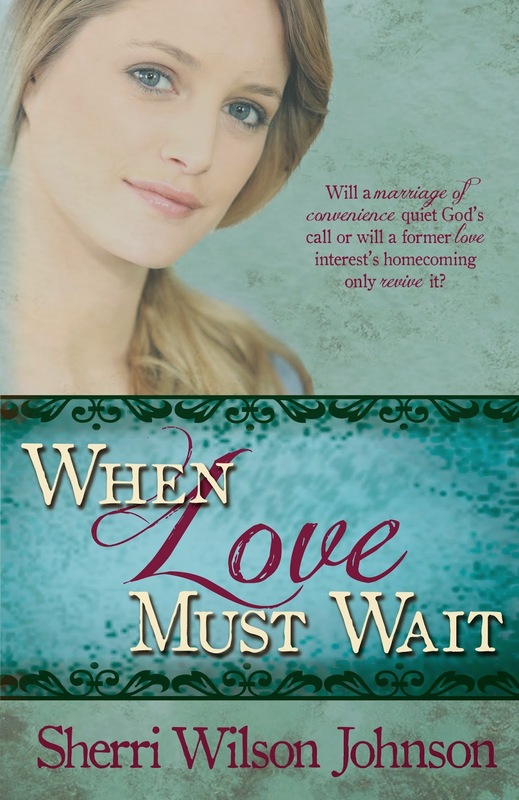 Where can readers purchase When Love Must Wait? When Love Must Wait is available on Amazon and other major retailers. Thanks so much for hosting me today. I’m thrilled to get to know more readers! Do you have a question you’d like to leave for my readers to answer? Just for fun, what’s your favorite thing about the Victorian era? Thank you, Sherri, for visiting with my readers. One of the commenters will be chosen to receive an eBook copy of When Love Must Wait, which you've offered. The winner of last Thursday’s blog post for a copy of Writer Off the Leash by Michelle Griep is Sonja N. I’ll email you. Thanks all for commenting. Watch for more book giveaways. I’m on my blog tour through May talking about my new novel, Wait for Me. I’m giving away a total of 25 Kindle eBook copies of my book. Click the “Blog Tour Stops” tab at the top of this page to find the live link to each day’s blog visit. Leave a comment on that blog to be entered in that book drawing. It has to be the clothing! I love Victorian era gowns, but also there is a certain aura about this time in history that's fascinating; a certain kind of mystique. I have just started a Victorian era novel that's shrouded in mystery. Can't wait for the chance to really dig into it. I bought Sherri's first two books (the covers are all stunning) and I would love to read them back to back! Thanks for the opportunity to win this one! Diana, you're welcome. I appreciate your following my blog! Thanks for leaving your comment. Diana, I love the clothing too! The beauty of writing in this time period is the ability to embellish and make it as romantic and full of mystique as you like. Thanks for buying me books and for stopping by here. My favorite thing is the clothing & the carriages, Noblemen courting the beautifully dressed & proper Ladies! Deanna, thanks for following my blog! Glad you came by and left your comment. Deanna, I love the courting too! I'm in love with romance! Thanks for stopping by! My favorite would be the dress. I loved how the ladies dress. This book sounds awesome. Love to read. Love your blog Jo!! Diana, glad you love my blog and follow! Thanks for leaving your comment. The Victorian gowns are so beautiful! I love looking through Google images at all of them and pinning them on my Pinterest board for future novels. Thanks for stopping by! Shirley, thanks for following my blog and leaving your comment! Shirley, you're in good company. Everyone seems to love the clothing. I love to imagine what the gowns looked like at a ball. Thanks for stopping by! If I don't win this book, I will be buying it. Martha, glad you stopped by and left your comment. Martha, wouldn't it be so great if we dressed for afternoon tea? :) Thanks for stopping by! Sonja, I appreciate you following my blog! Glad you enjoy it. Thanks for leaving your comment. Alison, thanks for coming by and leaving your comment. I like the dresses of that era. Thanks for the giveaway Jo. I am a follower of yours. Maxie, you're welcome. So glad you follow my blog! Thanks for leaving your comment. Thanks for taking the time to read my interview and learn about my book! My favorite thing about the Victorian era....the grand balls! You and me both! Thanks for taking the time to stop by! Melanie, thanks so much for following my blog! Glad you left your comment. Thanks Jo for hosting me this week! It seems like everyone loves the ball gowns and other beautiful dresses of the Victorian era. Me too! My favorite thing about the Victorian times are the primness of the ladies and the proper manners. Women were definitely ladies then!